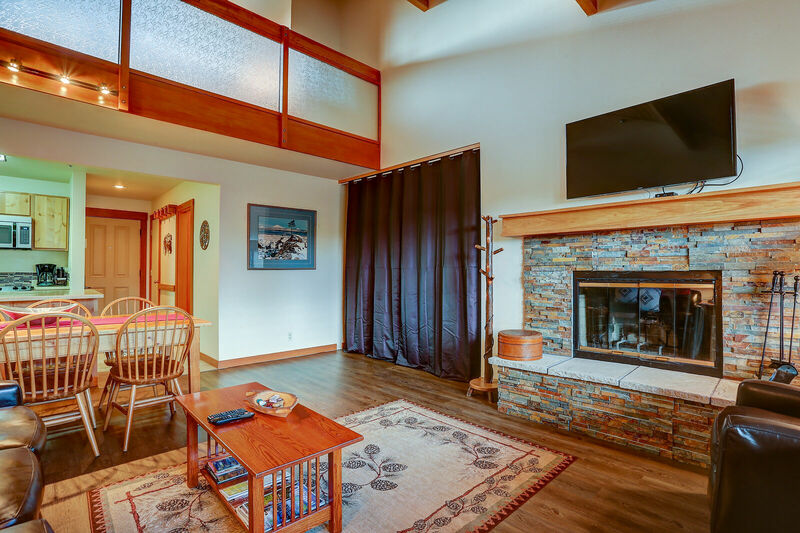 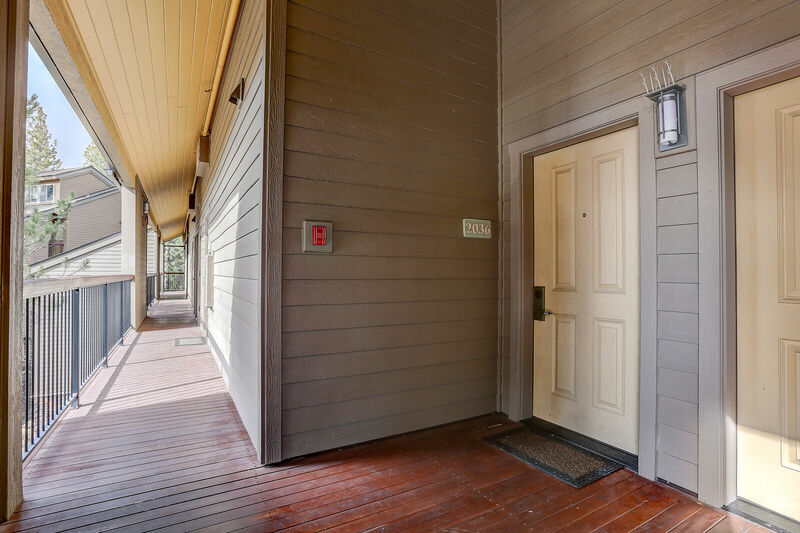 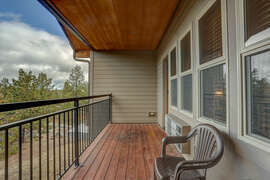 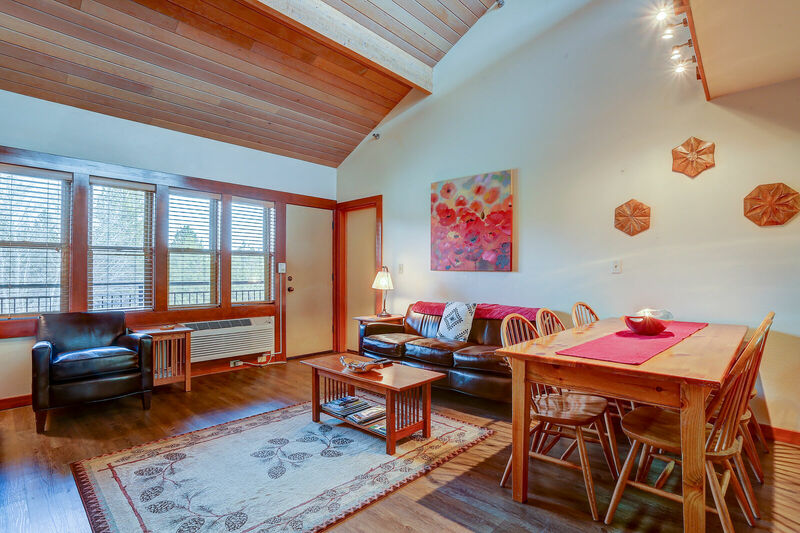 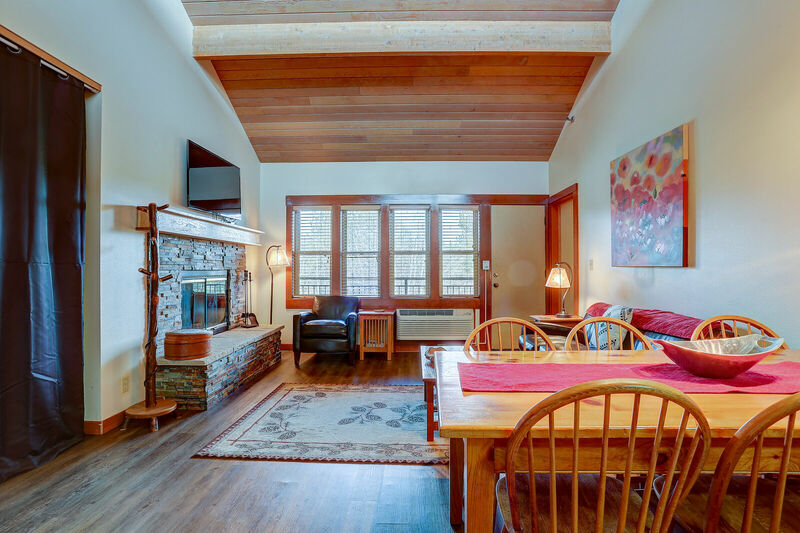 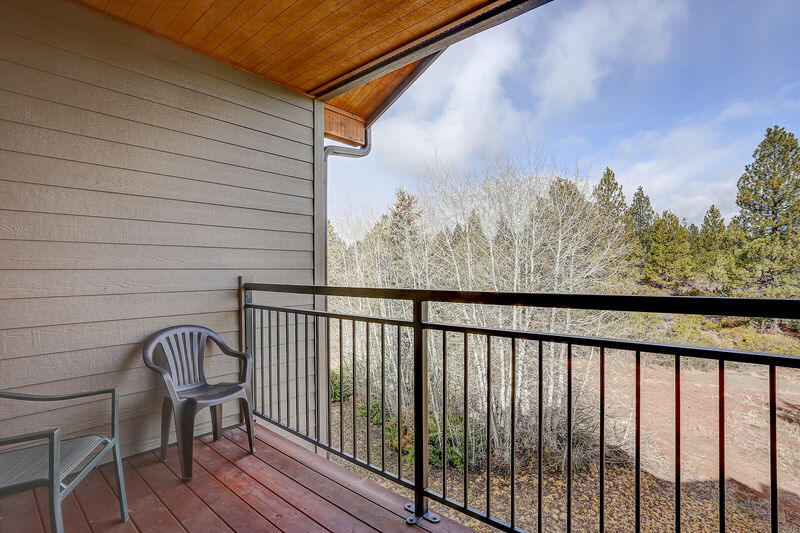 Enjoy a peaceful escape with gorgeous views from this cozy 2 bedroom + 2.5 bathroom third floor condo nestled among the trees in beautiful Seventh Mountain Resort. This condo features a full kitchen with everything you need to enjoy a delicious meal without ever having to leave the condo. The living room area is light and bright and features a flat screen television. There is also a Murphy bed hidden out of the way to allow an extra sleep area at night without compromising space during the day. 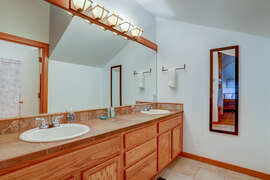 There is a half bath off the front entryway. 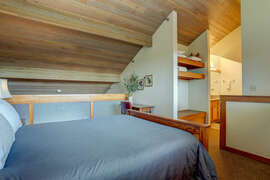 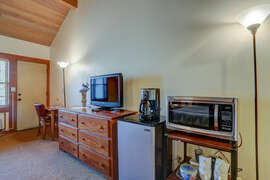 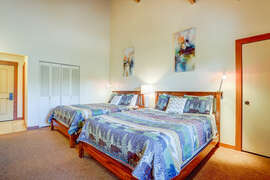 The downstairs bedroom features a full bathroom, two queen beds, a television and separate coffee service. 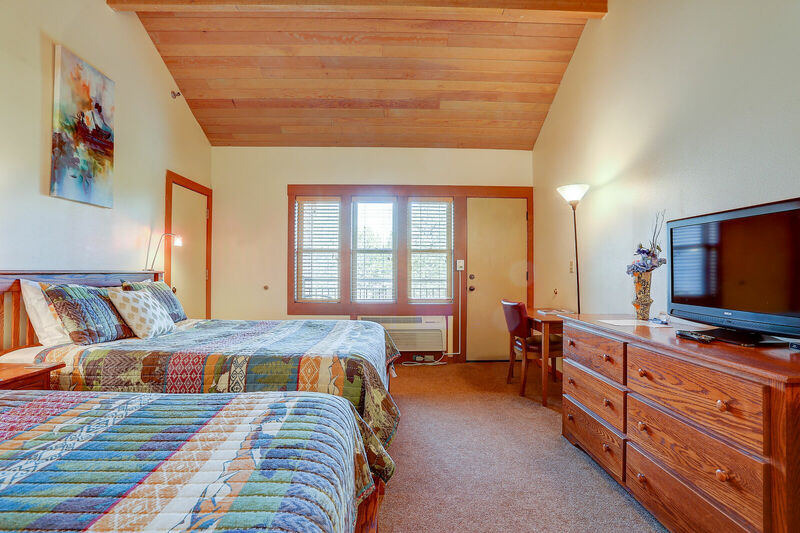 Upstairs you will find a beautiful Master queen bedroom, open to the living room below with a large bathroom with double vanity. 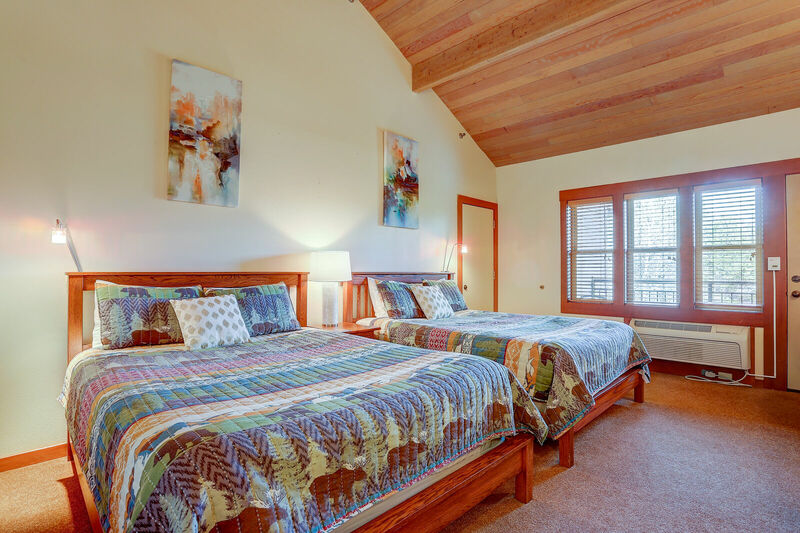 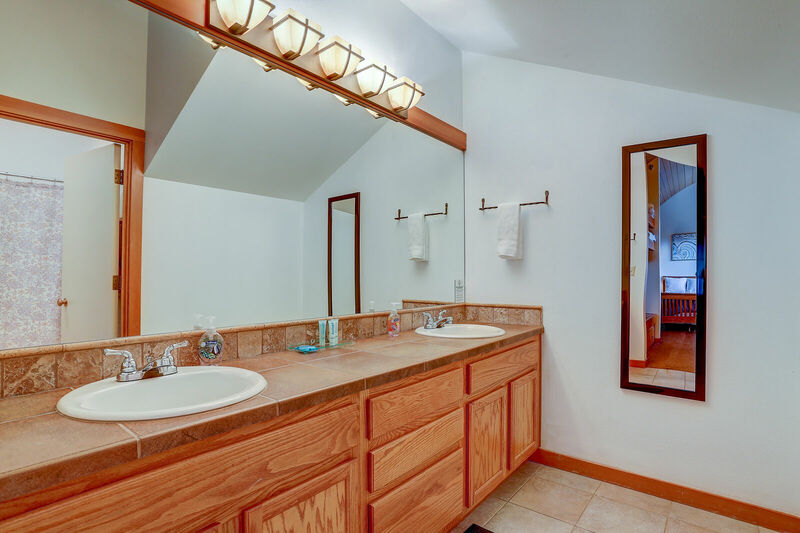 When not enjoying the thousands of activities the town of Bend has to offer, right outside your door here at Seventh Mountain Resort, there are three heated pools & Jacuzzi's (heated year-round). A newly renovated pool room with lockers for changing, showers, couches for lounging, and a dry sauna are all here for you to enjoy. Ice skating rink in winter, playgrounds for kids, basketball, horseback riding trails along Deschutes River, kiddie horse rides. 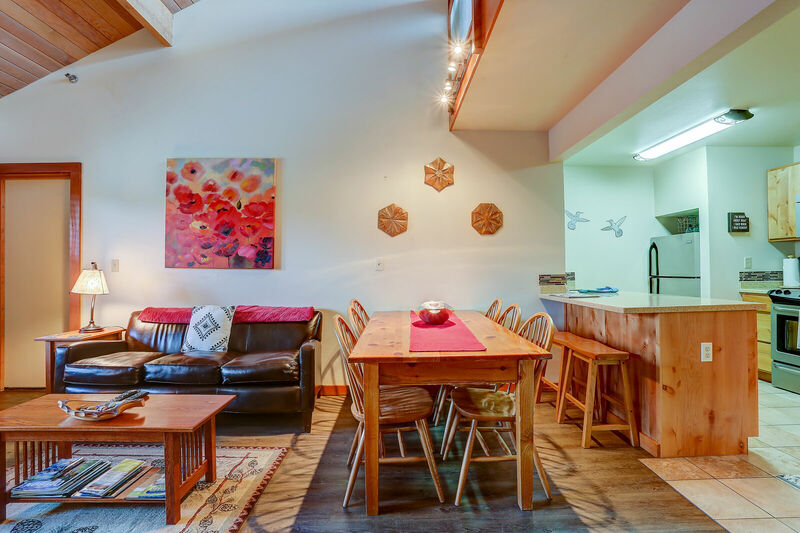 Snowshoe tours, tennis and pickle ball courts. BBQ's and picnic tables throughout the resort. 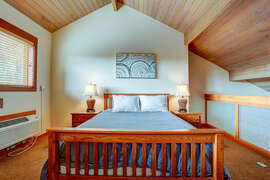 Widgi Creek golf course and spa are right next door. 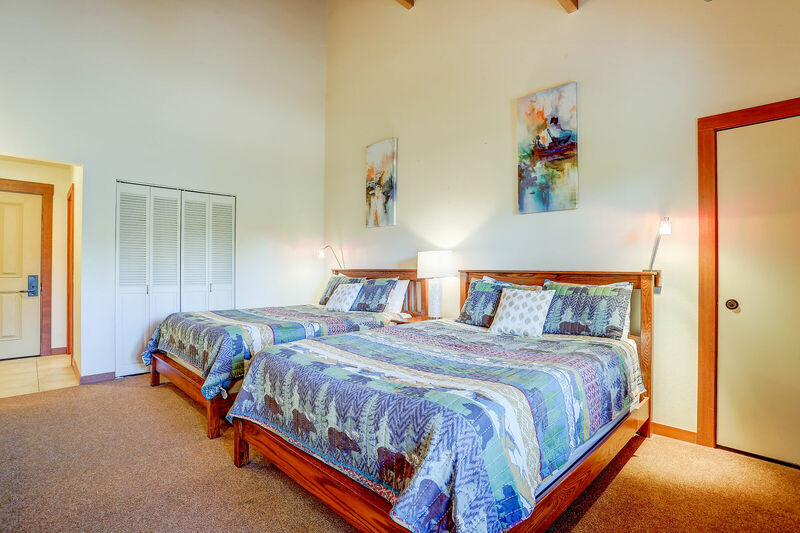 Tetherow Gold Club is less than five minutes up the road. 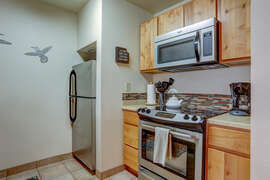 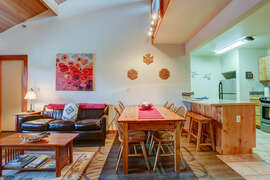 Did we mention Seventh Mountain Resort is the closest lodging to Mt. Bachelor Ski Resort?! Frisbee golf, horseshoes, mini golf. 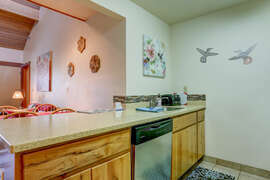 Easy parking right in front of the condo. Deschutes River Trail is right below for an easy restorative nature walk. 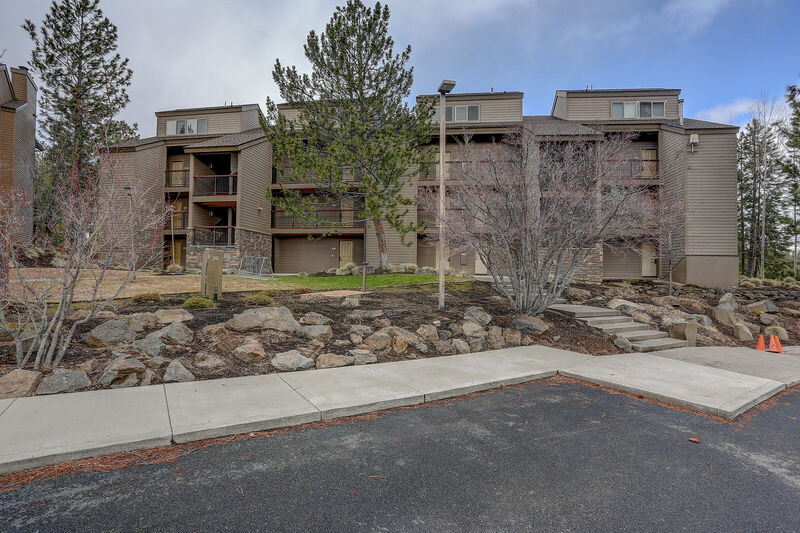 While staying at Seventh Mountain Condo you will have access to ALL of Seventh Mountain Resort amenities...including the work out gym available 24/7! Pools and Jacuzzi's are open until 10pm. 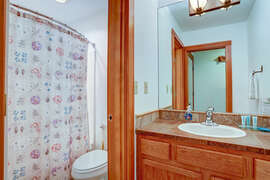 Plenty of time unwind and enjoy a soak under the stars. 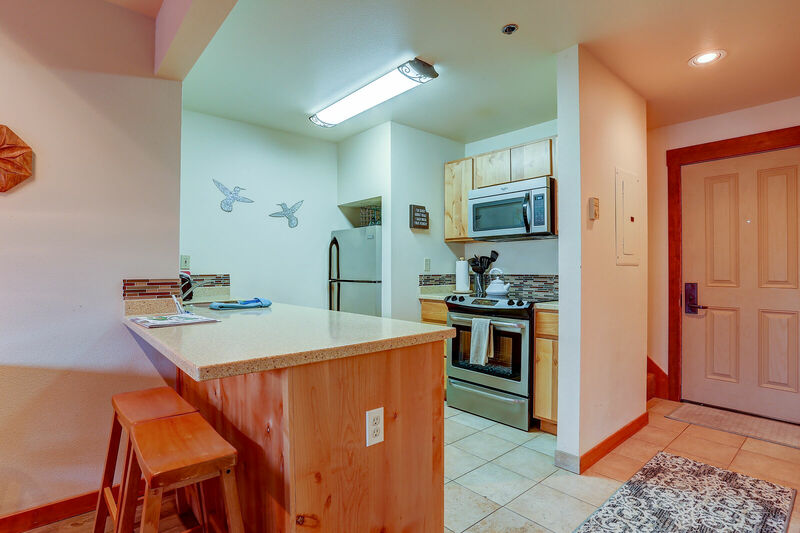 There is so much to enjoy here at Seventh Mountain Resort. 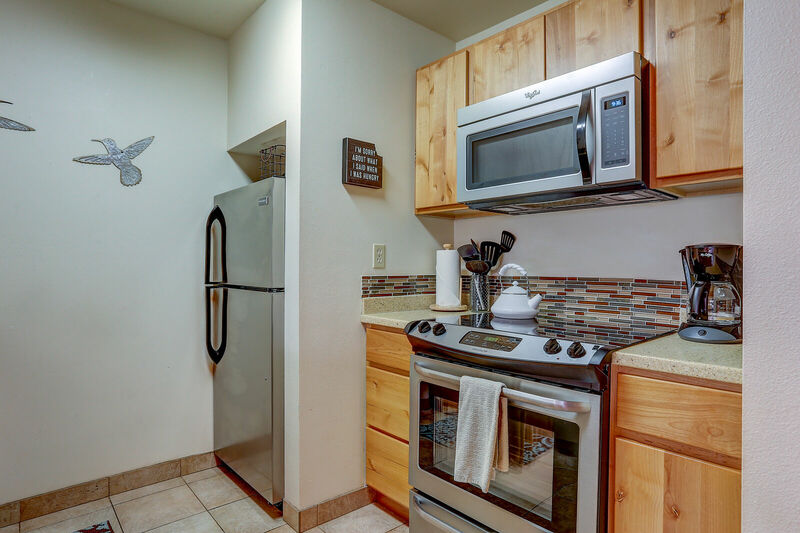 Whether you come with your family, or as a couple, or just on your own, you'll find the perfect combination of activity and serenity here at Seventh Mountain.